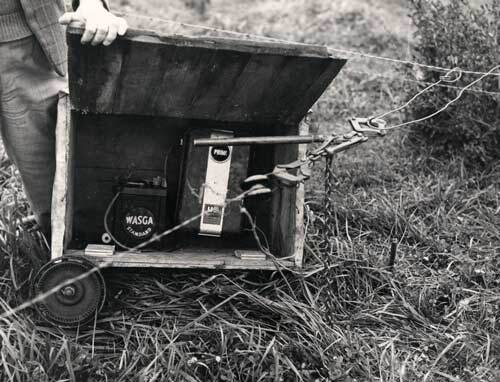 This portable electric fence unit from 1949 is hooked up to a barbed wire, and delivers a short sharp shock to animals that push against it. As the units became more efficient, farmers used lighter wire. Modern systems use nylon cord with light strands of metal woven through it. This is much easier to handle and to move.